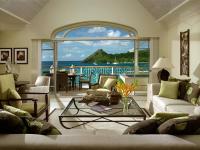 Here are the top hotels for your St. Lucia beach trip! Featuring private plunge pools, the polished, open-air suites come with 4-poster beds made of tropical hardwood, as well as sea views and free Wi-Fi. 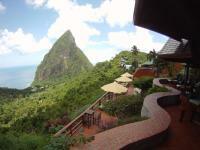 The hotel has a chic open-air restaurant, plus a sea-view outdoor pool and sundeck with food and beverage service. There's also a spa and a fitness room, along with a free beach shuttle and a boutique. This upscale resort comprised of wood and stone villas set on a 10-hectare rainforest estate is 2.3 km from Sulphur Springs, a drive-in volcano, and 5 km from Anse Chastanet beach. Featuring private plunge pools and outdoor showers, the secluded 1- to 5-bedroom villas come with kitchens, minibars, and dining rooms. All provide iPod docks and free Wi-Fi, and some add sea views. Breakfast is included, and the property has a high-end restaurant, as well as a fitness room, an outdoor pool and a chic spa. Yoga sessions are available. Set on Rodney Bay and overlooking the marina, this luxury, beachfront resort is 13 minutes' walk from Pigeon Island National Park and 3.9 km from Beausejour Stadium. Featuring balconies or terraces, the elegant 1- to 3-bedroom suites include flat-screen TVs and washer/dryers, plus kitchens, living rooms and dining areas. There are 3 restaurants, and private chefs are available. Other amenities include 3 outdoor pools and 2 hot tubs, plus a 650 sq m spa, a gym and tennis courts. A kids' club and water sports equipment are offered.